I love all things aerodynamic and I still love this adorable kite (meaning it doesn’t really fly…it’s fashion over function). 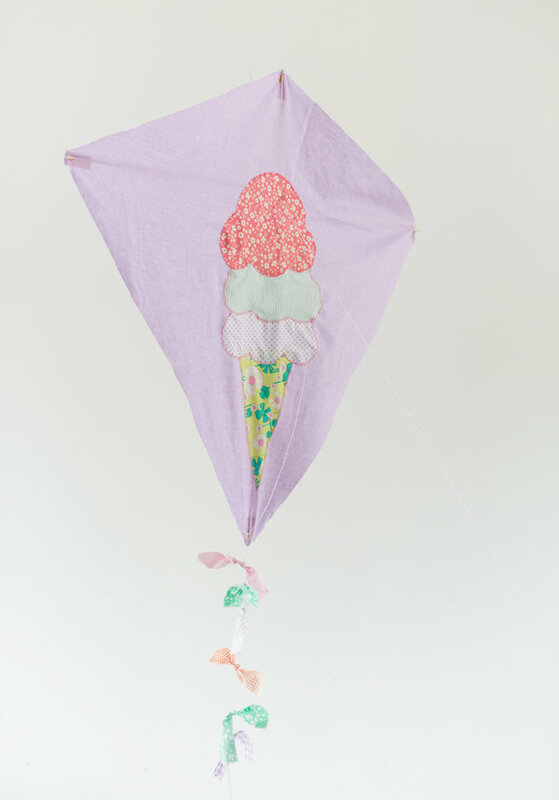 Fly it over a baby’s crib or hanging from a tree where an ice cream cart sits underneath. 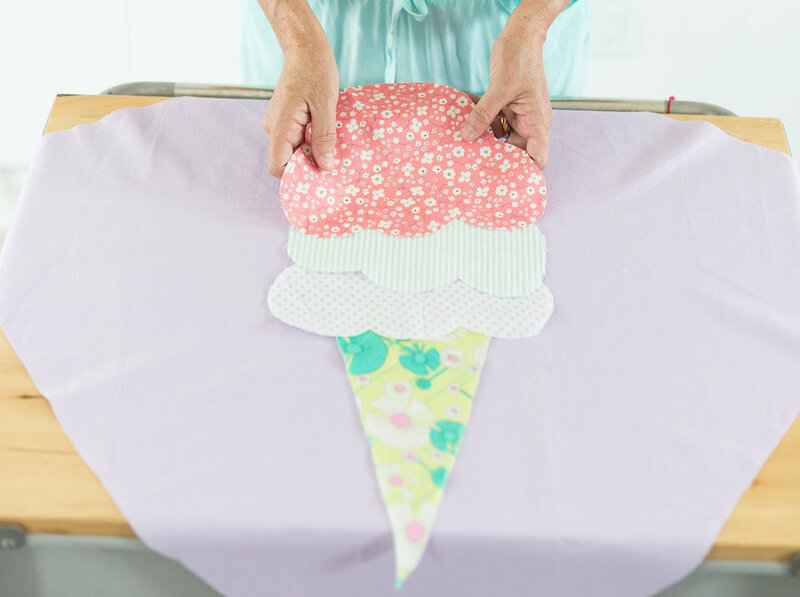 It’s a little bit of French fabric perfection with an American whimsy and I love it! Triple Scoop Please! 1. 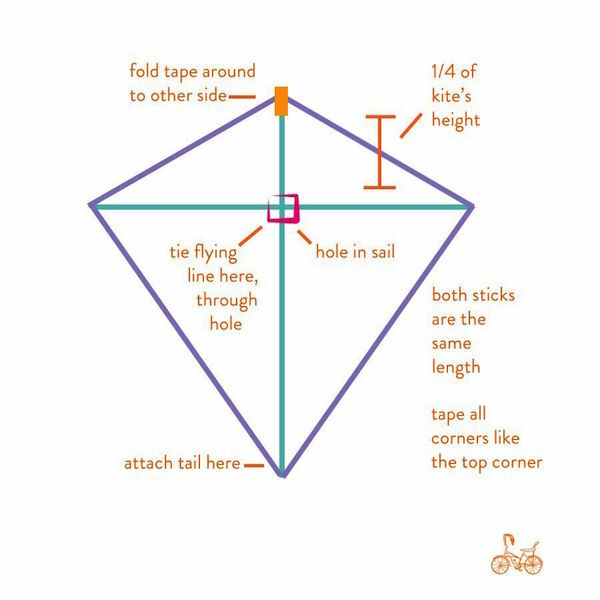 Make the kite frame (use this guide that show’s you how to easily put a kite together). 4. 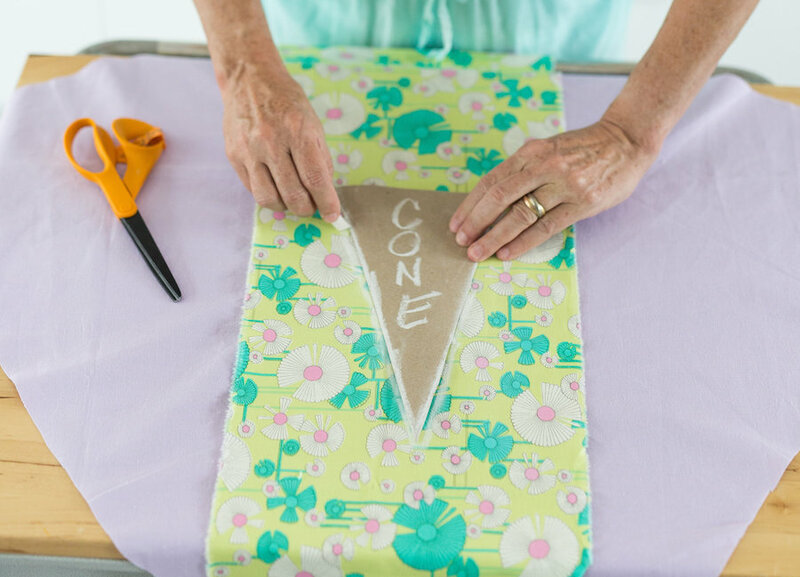 Place the cone on a piece of your scrap fabric and draw around the perimeter with chalk. 5. Cut out the cone. 6. 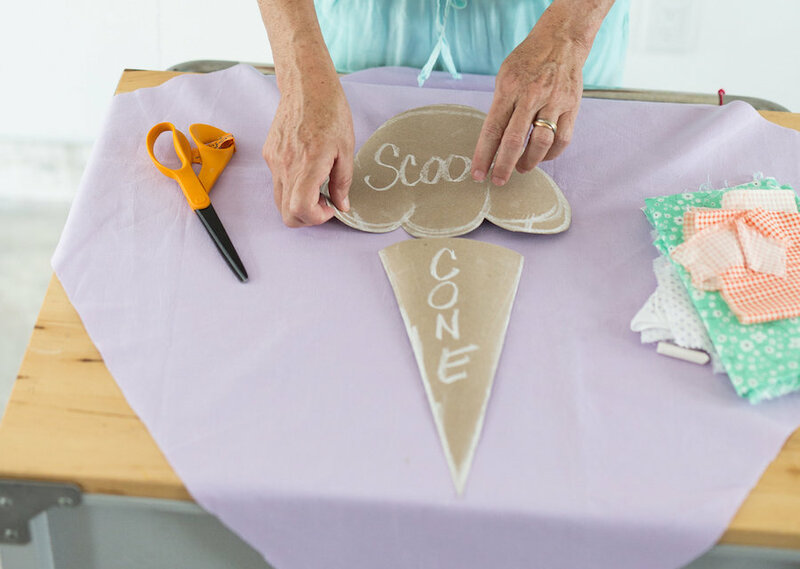 Place the scoop of ice cream on a piece of coordinating fabric and draw around. Save the scraps for the tail. 7. 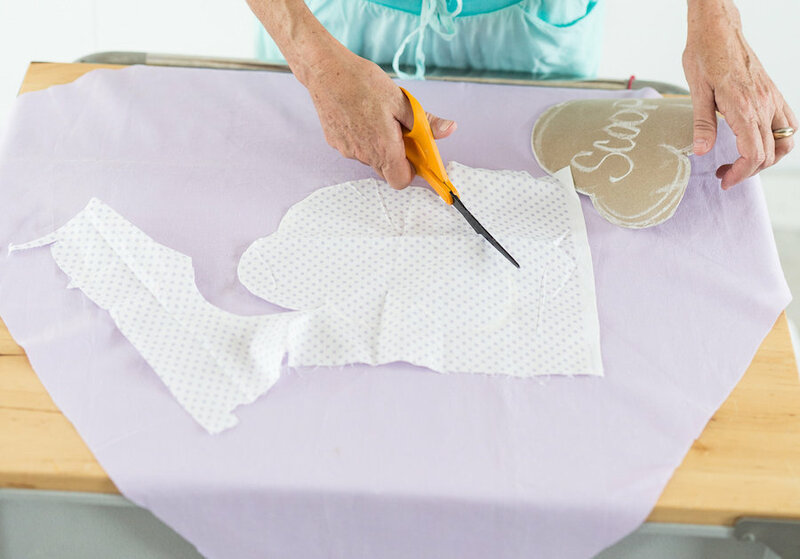 Cut out the scoop and repeat the process cutting out two more scoops on coordinating fabric. 8. 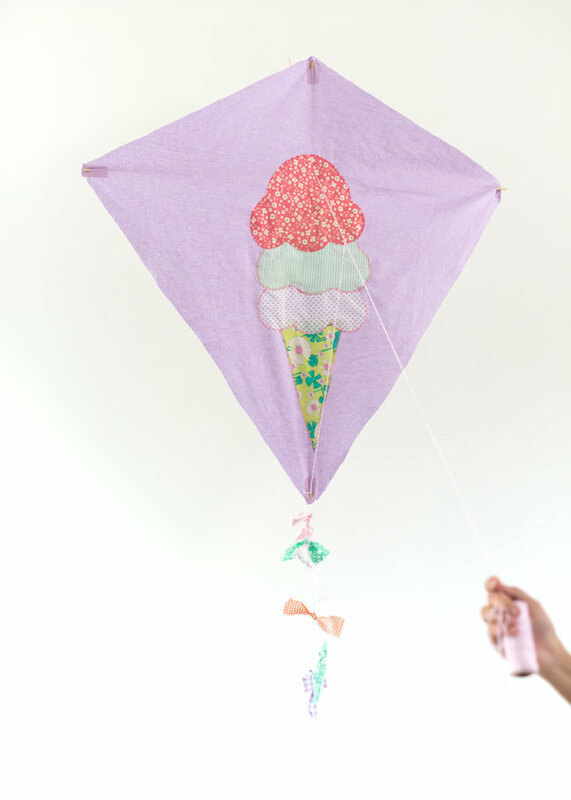 Stack the “scoops” on top of the cone and pin in place on the kite fabric. 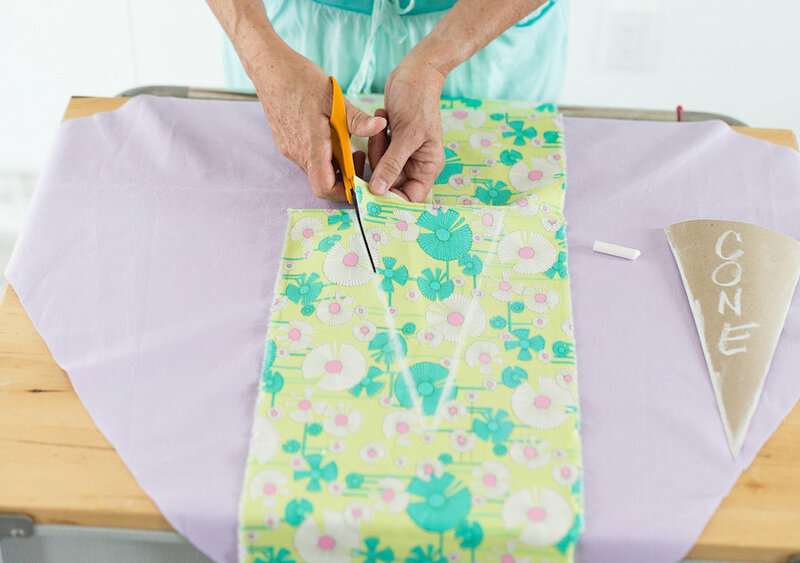 Use a sewing machine to stitch around all the edges with a coordinating color thread. I used pink. 9. Reference step one to tape your kite fabric to the frame. 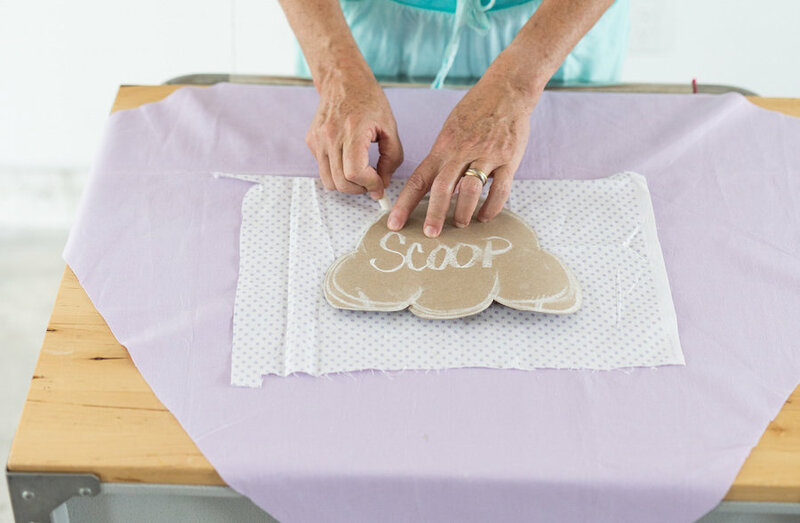 Add a fun tail by tying on extra pieces of the scoop fabric onto a string hanging down from the bottom corner. The next time someone tells you to go fly a kite…just smile!